"The 2015 Capstone Design Survey Results: Current Practices and Changes" by Susannah Howe, Laura Rosenbauer et al. 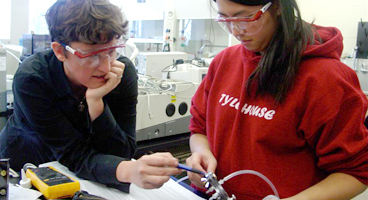 Capstone design courses are common in engineering design programs, but they vary substantially across institution and department. The goal of the decennial capstone design survey initiative is to capture data from capstone design courses every ten years to identify current practices and changes over time. In keeping with its predecessor surveys, the 2015 capstone design survey included questions on course logistics, pedagogy, evaluation, faculty, students, projects and teams, expenses and funding, and sponsors. The 2015 survey captured data from 522 respondents at 256 institutions, documenting the variety of implementation strategies for capstone design programs across the U.S. These data include quantitative and categorical responses about current practices and open-ended responses about respondent experiences and opinion. This paper presents the current state of capstone design education, draws comparisons across disciplines, and highlights changes within capstone design practices over the past 20 years. These surveys and the data gathered therein are an important first step in understanding, assessing, and ultimately improving engineering capstone design education. Howe, Susannah; Rosenbauer, Laura; and Poulos, Sophia, "The 2015 Capstone Design Survey Results: Current Practices and Changes over Time" (2017). Engineering: Faculty Publications, Smith College, Northampton, MA.